Just the place and price. Look at the value in this budget saving traditional shotgun style home; a perfect choice for the first time homeowner, someone resizing looking for an economical lifestyle or perhaps someone looking for a great investment property. 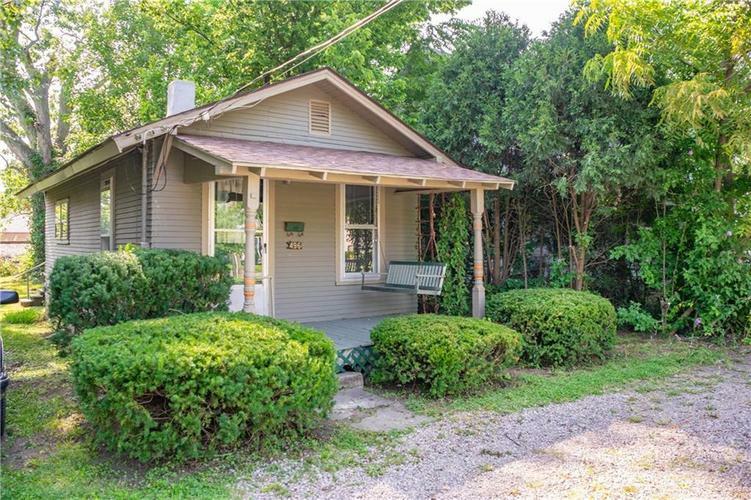 This nicely cared for home offers a large living room, eat-in kitchen and two bedroom spaces (one being a walk-through) with a full bath. All this and a convenient Franklin location close to parks, schools, and an easy stroll to downtown amenities making this a great place to "settle right in". Directions:US 31 (Morton St) & Main Street. South on Main St .8 miles to Martin Pl. Est (left) on Martin Pl .1 miles. East (left) on Cincinnati St. Second right (South) on Johnson. Home on right.